No doubt you’re ready for more after the ferry ride back from Cheung Chau. It’s time to hit the big boys on Hong Kong Island. Jacomax was at the vanguard of the artisanal pizza movement here in Hong Kong. With an imported stone oven straight from Italy, the wheels here are Neopolitan style. 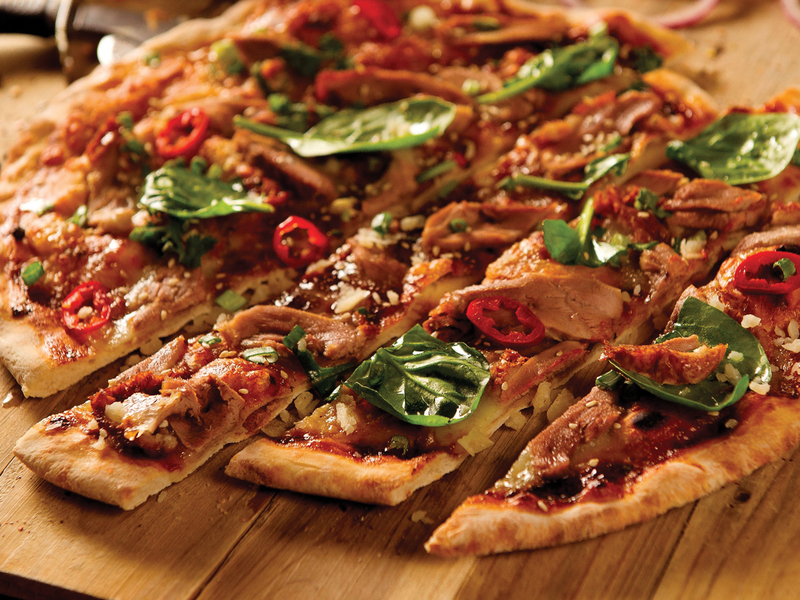 And true to that region’s signature pizza, the crust is incredibly thin with a tender and chewy texture. For those seeking something different, the eatery serves up an apple and gorgonzola white pizza ($148) that’s absolutely delicious. If that doesn’t take your fancy, the signature Jacomax ($158) with ground beef and peppers is just as satisfying. Shop C, 88 Commercial Bldg, 28-34 Wing Lok St, Sheung Wan, 2851 4688; jacomax.net. Just up the hill from busy Wing Lok Street sits 208 Duecento Otto. 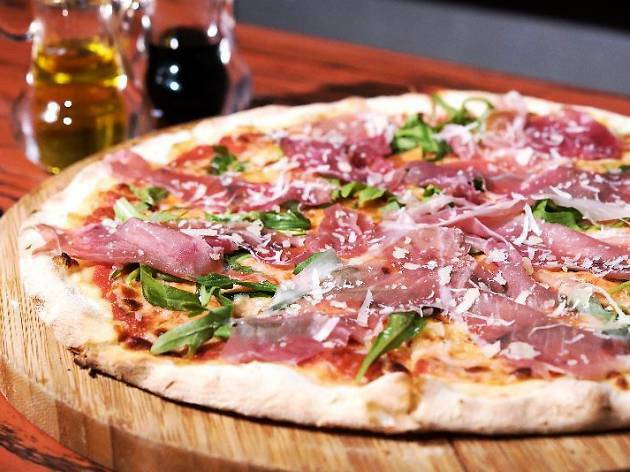 More affectionately known as 208, these guys take their pizza napoletana very seriously. 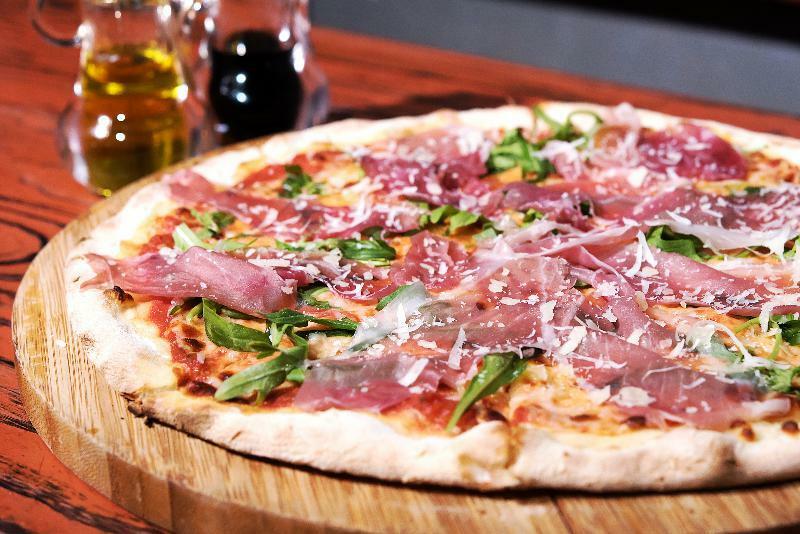 The pies here are made to the specifications of The Association Verace Pizza Napoletana (The True Neapolitan Pizza Association – yes, it's a thing), which insists on the use of buffalo mozzarella from Campana and a custom-designed pizza oven shipped in from Naples. There’s a rotating score of variations on the menu, such as the boscaiola ($178), but the signature is the classic margherita with tomato, mozzarella and basil ($158). 208 Hollywood Rd, Sheung Wan, 2549 0208; 208.com.hk. Had enough of traditional pizzas? Cafe Deco, just around the corner from 208, dishes up some pretty innovative creations with toppings such as Korean bulgogi beef ($162), Morrocan lamb ($158) and duck ($158), the last of which arrives topped with delicious roast duck, spinach, apricot compote with chilli and hoisin sauce. Take a breather and loosen your belt a notch among the relaxing decor featuring wooden tabletops and high ceilings, and take in the aromas from the open kitchen before moving on to the next destination. Shop 3-4, G/F, Tower 125, 11 Po Yan St, 2559 4100; cafedecogroup.com. Time for a palate cleanser. 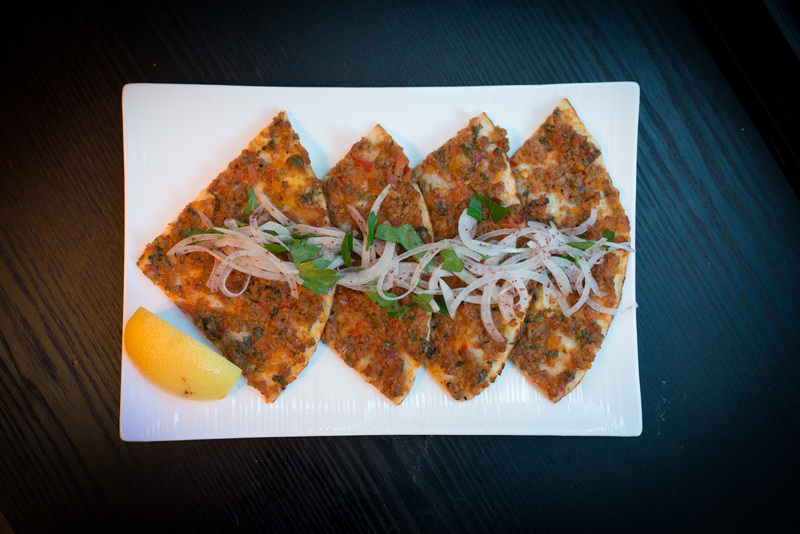 The Sultan’s Table is a newcomer to Hong Kong’s dining scene and its Turkish pizzas are among the best we’ve had. 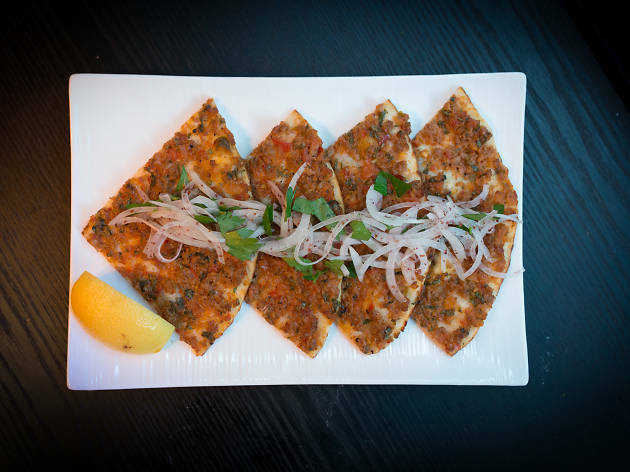 The menu includes a mean lamb lahmacun ($78), but there’s a variety of pide – a pita bread style of pizza – and the one with sujuk (spicy sausage) ($88) stirs our taste buds every time. This crisp offering comes to the table searing hot, loaded with cheese and egg mixed with sausage. Luscious and delicious. G/F, Shiu King Crt, 4-8 Arbuthnot Rd, Central, 2555 7678; thesultanstable.com. 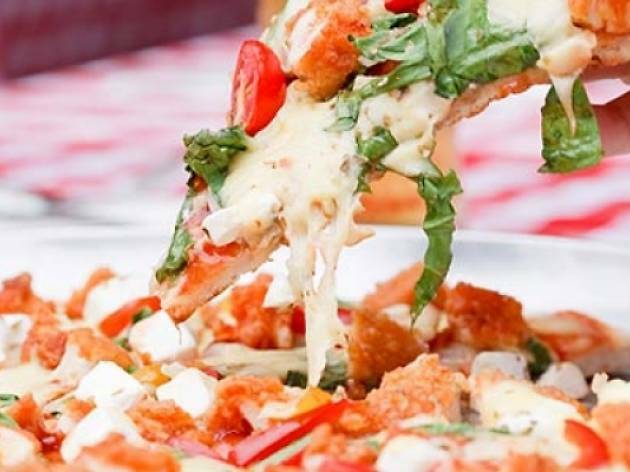 Your stomach’s earned a bit of a break, so hop on the MTR and make your way across the harbour to Paisano’s in Tsim Sha Tsui. 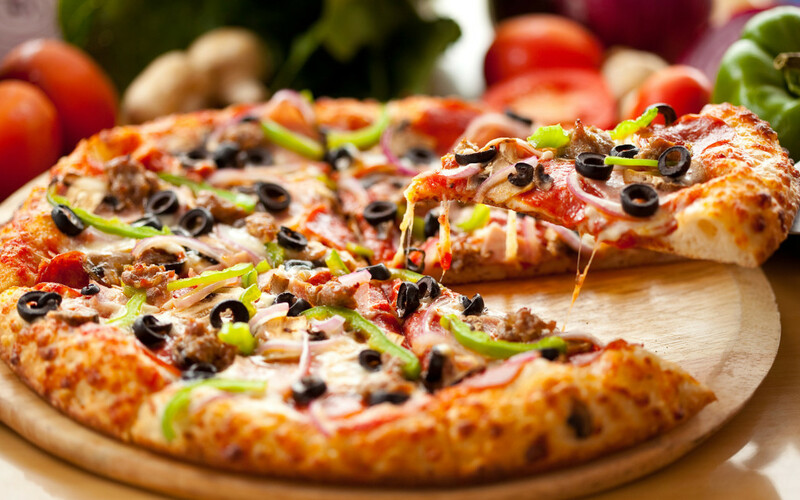 This homegrown New York-style pizzeria has developed into a small chain with outlets dotted across the city. Among the plethora of choices in TST, Paisano’s is your best bet for a decent cut of pie. 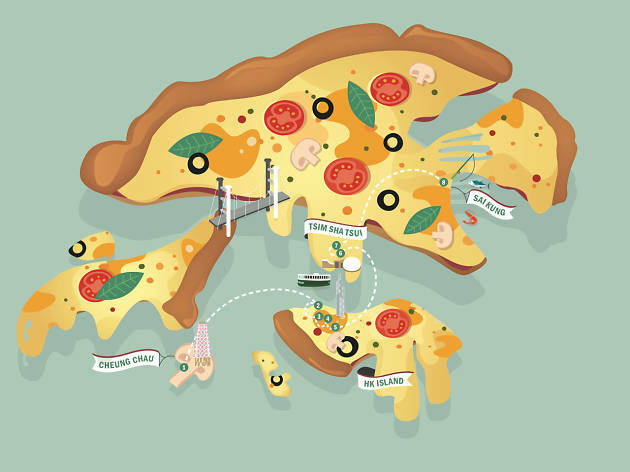 The slices of pizza here are humungous and littered with copious amounts of cheese and toppings. Diners can opt for a classic pepperoni ($30 per slice) or a simple vegetarian ($40 per slice), which are perfect whenever you’re looking for a cheap and cheerful meal on the go. 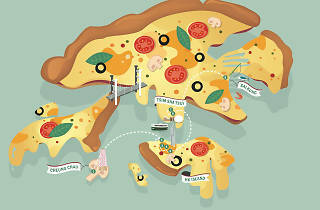 12 Granville Rd, Tsim Sha Tsui, 2414 4445; paisanos.com.hk. By now it’s probably getting late and there’s a need to speed things along. This chain from Japan provides just that with ample seating in a relaxed wood-lined space and snappy takeaways for those on-the-go. 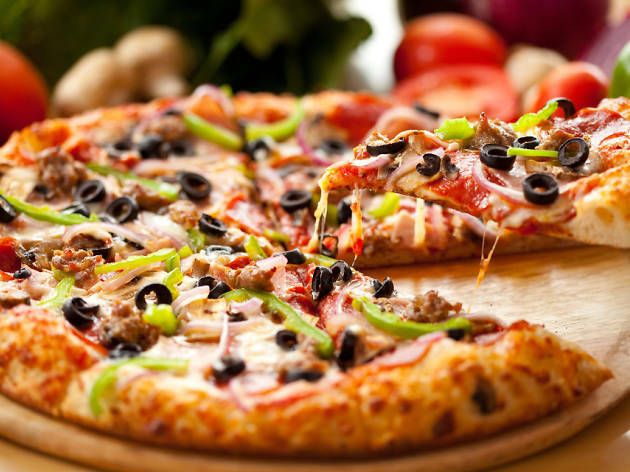 The secret to its success is in the dough and an intense 500-degree oven that cooks pies in 90 seconds flat, sealing in the flavour and speedily creating piping hot crusts. 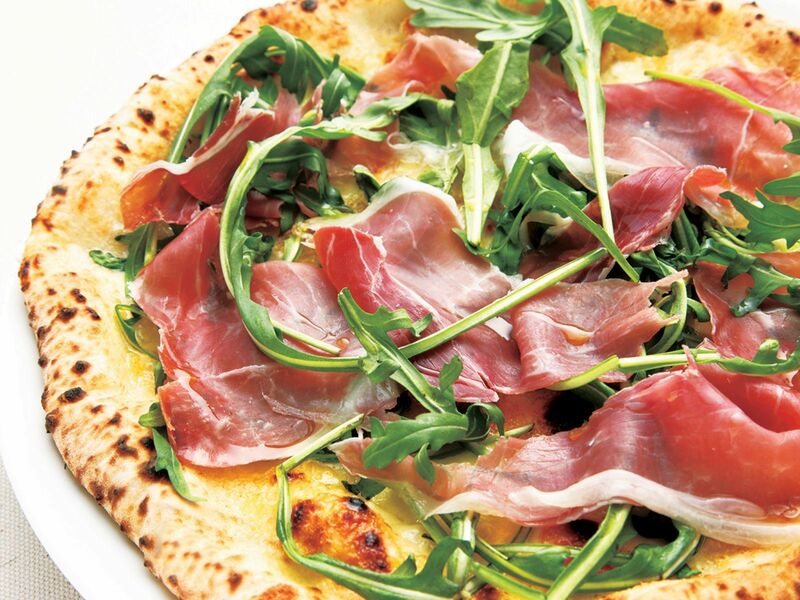 Grab a quick eight-inch proscuitto margharita ($55) and waddle on. (Re-opening June 2016) G/F, Multifield Plaza, 3 Prat Avenue, Tsim Sha Tsui; napolisjapan.com. (Previous location closed: Shop 44, G/F, Champagne Crt, 40-46 Carnarvon Rd, Tsim Sha Tsui). Assuming you can still move, hop on a bus to Sai Kung for your final destination. Impossible to miss, this yellow pizza house is just beyond the first bus stop into town. Open since 1992, this institution has been providing freshly made bases and hearty sauces that locals swear by. The New Orleans ($120) is our recommendation, stacked with chicken, sour cream and sweet chilli sauce for a supremely flavourful bite. With old-school red and white chequered tablecloths and two storeys of dining space allowing for ample seating, there’s no better place to end a day of gluttony than at this relaxing venue. 1592 Po Tung Rd, Sai Kung, 2791 1738; casteloconcepts.com. Start here. And if you’ve come this far and have the time, we suggest taking a walk along the Cheung Chau trail before you proceed. There’s nothing like the clean air of the outlying islands when you’re away from Central or TST, and a gentle hike is perfect for building an appetite. 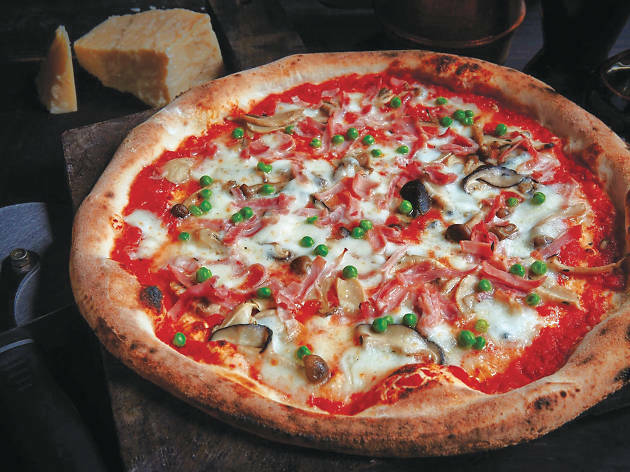 One of the best pizzerias in town, this joint – positioned right next to the waterfront on Cheung Chau – offers serenity as well as great pizza. 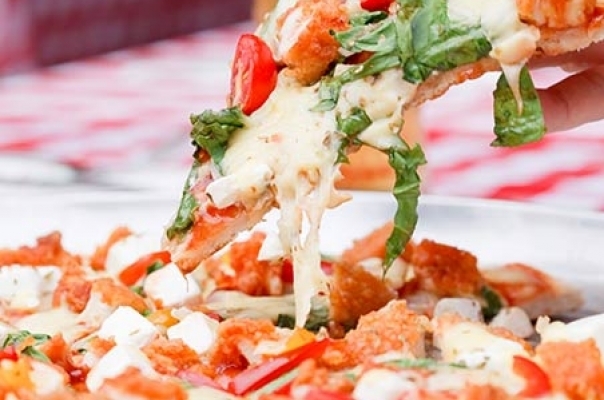 The crusts are crisp and light, and the place serves up honest to goodness ingredients in its signature four cheeses ($65) and margherita pizzas ($50). 19 Tai Hing Tai Rd, Cheung Chau, 9864 9197; fb.com/freshbasil.